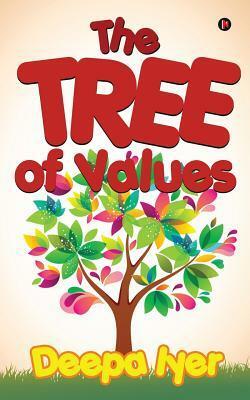 The Tree of Values by Deepa Iyer is specially written for children. The plot revolves around different stories which are inspiring. This is my first read of this author. The cover page is penny plain. The teachings and values seem to be lost nowadays. We are surrounded by wicked and selfish people, but at the same time, there are good people around us too to brighten our life. Deepa Iyer's stories have that essence. There are positivity and a lesson about life. The stories are beautifully illustrated and tell the importance of having a good heart and character. The language is plain sailing without any grammatical errors. Through this book, one can learn lessons about punctuality, humanity, kindness, patience, forgiveness, and many more. This kind of book leaves an impact on children's mind, and they grow up with love and respect for others in their heart. I like the simplicity of stories and moral at the end. This book is must read for children. The Tree of Values is an attempt to illustrate the importance of good character in our current value-conflicted society. Characters in the book bring to life the precious virtues needed to evolve as a good human being. Through simple language and presentation, Deepa Iyer aims to inspire children and adults alike. So delve in and discover The Tree of Values.